Description : One of the best ambiences you can find in any hotel in Pune, it is flawlessly named as Atmosphere 6,In Atmosphere 6 along with restaurant there is lounge bar, pub. It’s massive and enormously large enough having more than 4 sections and each of these sections will give a different glimpse from the roof and momentary look which is unforgettable. The service is very slow and something which will spoil your mood, as the waiter at times find difficult to understand what you want and messes up everything in spite of the confirmation. It’s better to order starters and main course together as food served takes more than half an hour after placing your order. Food is good and the best among them is Chicken platter: – it had variety to offer its customer not only limited to variety but the chicken was juicy and soft, Paneer Chilly is tasty enough to order for the second time. Dal Makhani compared to the other two was not that delicious but it was decent enough to try it. 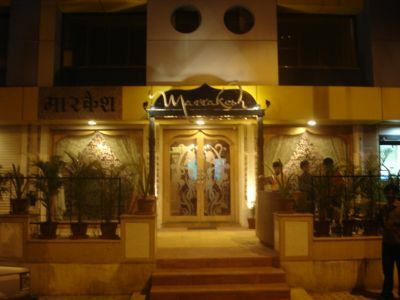 On the whole with its ambience and food it has the aptitude to be rated among the top restaurant in Pune and Attract people only if it can improve it service it should speed up with it. Working Hours: 12PM-1AM. Happy hours: 12PM-8PM.